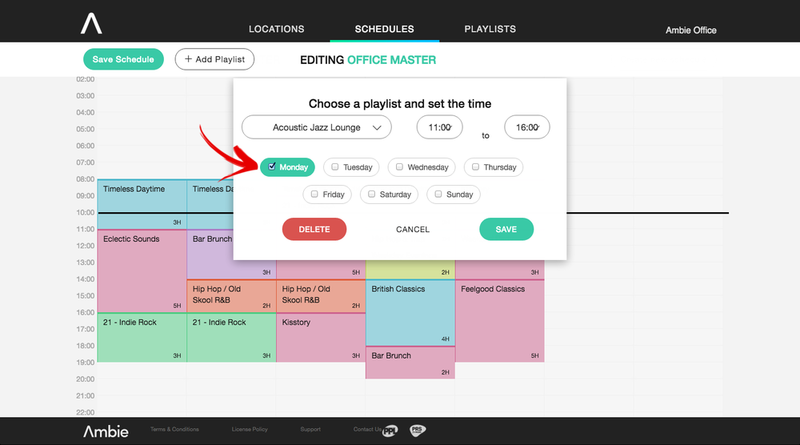 Scheduling music playlists in your business can save you hours of time. 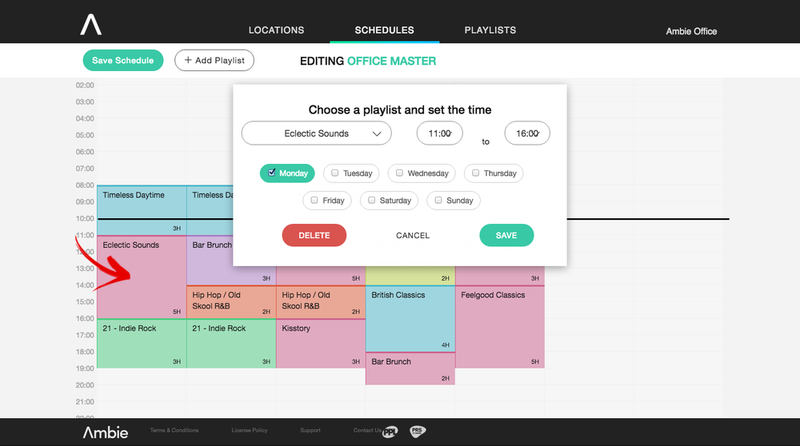 Ambie manages the creation of your bespoke playlists and also the scheduling of them so that it matches the changing atmospheres and trading patterns in your business. 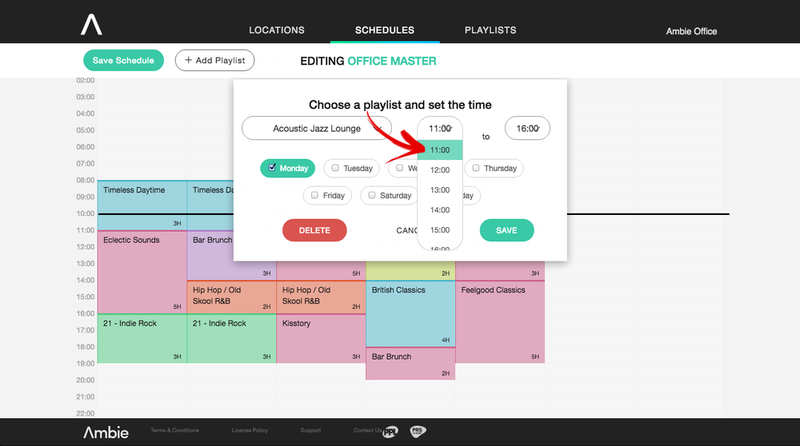 It remains important for many customers that they have the freedom to edit their music schedule themselves if needed. 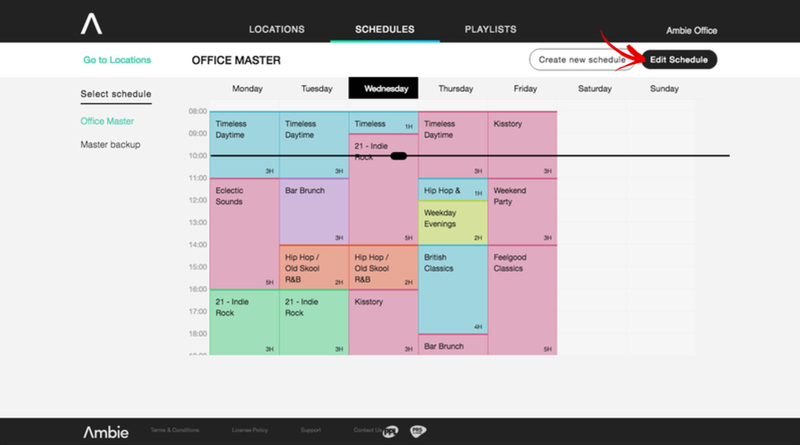 Customers can log into their Ambie Dashboard and edit their schedule in just a few clicks. 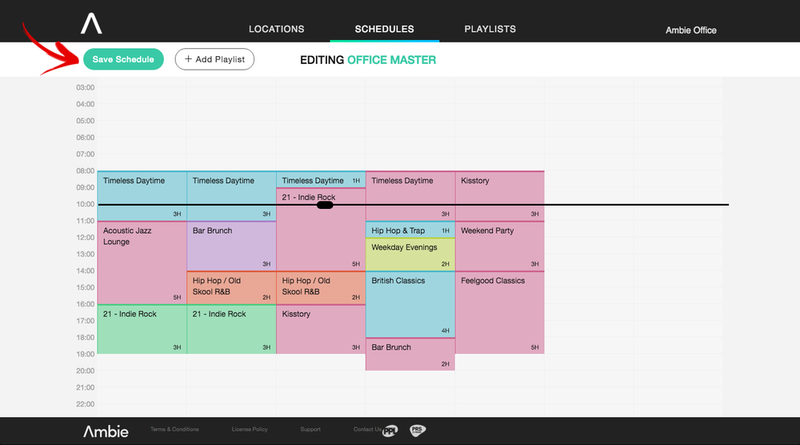 Schedule edits will now be saved until further edits are made. It’s that simple. 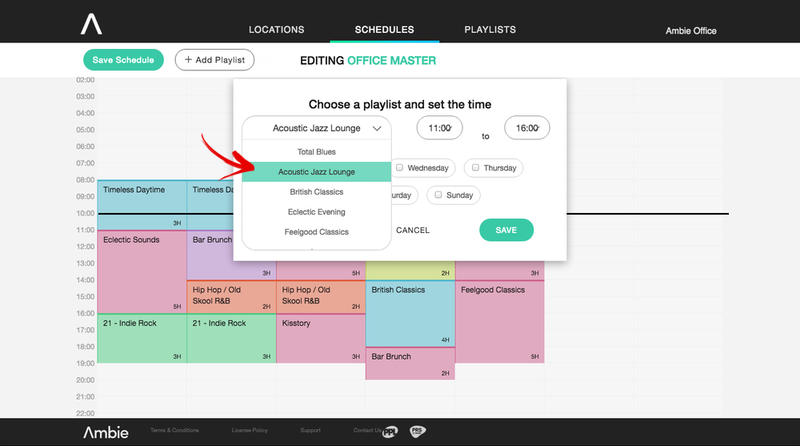 So whether our customers prefer to contact us directly to request changes to their music playlists, or prefer to take control of their schedule, Ambie makes it quick and easy for our customers so that they can get on with everything else! 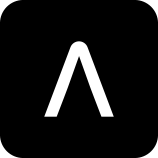 Plug & Play: Set up your Ambie Player in under 5 minutes!